The trend and appeal of apartment dwellers looking for a convenient and affordable urban lifestyle isn’t exactly a new thing, but it’s definitely becoming an increasingly popular phenomenon in Toronto, particularly in the downtown core. Over recent years, there have been tons of lofts and multi-family rental communities pooping up in the city. The appeal of lofts is obvious - these types of residences offer open floor plans, soaring ceilings, massive windows, tons of natural light, and modern amenities and finishes. There are several loft-style buildings in Toronto’s downtown core that offer homeowners and renters with all the conveniences of the city, while providing the ultimate in comfort. The extra space that lofts offer over typical condo units provides a sense of space, as well as an open, airy feeling that a traditional dwelling just can’t offer. Lofts truly are the ultimate residence for the modern urban dweller. And for those who are looking for an affordable alternative to a family home, lofts provide the perfect option. They offer people the opportunity to live comfortably in an otherwise expensive part of town at a price point they can afford. Liberty Village in particular has become a hot spot in Toronto for professionals and young families alike. All the conveniences of downtown living is right at your fingertips, including close proximity to public transportation, shops, eateries, galleries, and even green space. All the entertainment you could possibly dream of is within walking distance, as are a plethora of employment opportunities, which is among the main reasons for living downtown in the first place. 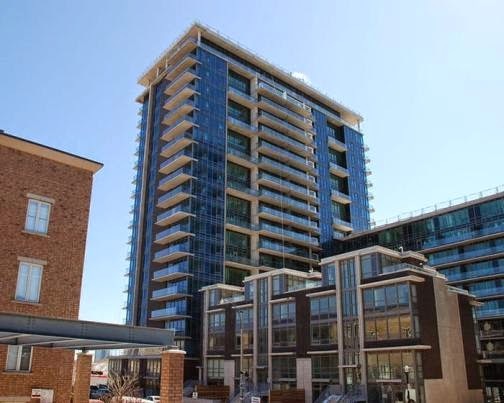 Liberty Village Lofts For Sale Are in Abundance! If you’ve decided that loft living is for you, you’re in luck. Liberty Village happens to be home to a wide variety of loft-style units for sale, just waiting to be plucked by the right buyer. If that happens to be you, you’ve got your pick of the litter! Tons of old warehouses and industrial buildings have been newly converted into loft residences, offering home owners both modern finishes mixed with the old charm of the original building. In addition, there are many brand new buildings that have sprung up in the area for those who prefer new construction. Before you start pounding the pavement in search of the perfect loft in Liberty Village, you need to establish a team of experts first. And that includes enlisting the help of an experienced liberty village real estate agent who knows liberty village and all its available lofts inside and out. You want to have a team of experts behind you who are well-versed in the world of loft living in this bustling Toronto neighbourhood, and at W&Y Homes Co., you’ve got just that. Do yourself a favor and tap into he expertise of the team at W&Y Homes Co. They don’t just work in Liberty Village - they live and play here too.